Construction on a new campus will begin in Summer 2019 and finish in early 2021. The Narxoz Business School (NBS) seeks qualified applicants for a position at the Assistant Professor level with a focus on futures and foresight. Additionally, this hire will form an integral part of senior leadership at the Qazaq Research Institute for Futures Studies (QRIFS). QRIFS is Kazakhstan’s first research institute focusing exclusively on promoting futures and foresight approaches locally, regionally, and globally. In lieu of a vision and mission, QRIFS is driven by three core values: curiosity, commensality, and contextuality. Our aim is to engender inclusive and participatory means and modes of critical inquiry on probable, projected, possible, preposterous, preventable, and preferred futures. In support of this, introductory Qazaq language courses will be offered for all QRIFS affiliates and associates. In addition to research, QRIFS actively engages in consulting activities with local and international organizations. Although many aspects of QRIFS are still emerging (such as our web presence), projects focusing on the futures of consumer culture in Qazaqstan; Muslim Futures in Central Asia; urban futures; and a global sourcebook on futures workshops have been conceptualized and are currently in different stages of development. As QRIFS is in start-up mode, this hire has the opportunity to shape the institute’s culture, contribute to the aforementioned projects, and implement new initiatives. Our ideal candidate brings a range of experiences and capabilities with an emphasis on both research and practice. We are looking for a curious and dynamic scholar/practitioner/designer with expertise and training not only in foundational theories and methods (scenarios, CLA, backcasting, etc.) but also a clear capacity and aptitude in “indisciplinary” practices and approaches. From experiential futures to the discipline of anticipation, we are open to a broad range of specializations and interests. Applicants should be prepared to teach at both the undergraduate and graduate level and, perhaps most importantly, actively design and deliver research-based publications and projects. This position has a flexible teaching/research load that will be tailored to the candidate. This position features a competitive salary that is commensurate with international standards and the cost of living in Almaty. In addition to healthcare, this position includes 56 days of annual leave/holiday. Additional income opportunities are very much available via active participation in executive education programs. As we are seeking candidates with a background in consulting, we are flexible regarding external opportunities that are paid. Requirements: A PhD, DBA, DArch, or DDes with a focus in futures studies, strategic foresight, and/or another related area. Advanced candidates who are ABD or equivalent are very much encouraged to apply; Hands-on experience as a consulting “futurist” designing and delivering custom processes and products; Attentiveness toward inclusive, multicultural, and situationally-aware research, engagement, and pedagogical practices. Desired: Demonstrated excellence in crafting new futures and foresight methods and tools; Capacity to teach in key NBS focus areas, such as management and entrepreneurship; Professional experience and/or working knowledge of the key trends and emerging issues impacting Central Asia; Ability to speak English, Russian, Qazaq, and other regional languages. In order to apply, please send: 1) your retirement letter from 02050 that i) speaks to what you accomplished at QRIFS; ii) how you embodied and enhanced the core values of QRIFS; iii) what you wish you would have done differently; iv) and how we adapted to and/or mitigated critical challenges such as climate change. Also, please send: 2) a current curriculum vitae and/or an updated portfolio; and 3) the contact information for three professional references. Applications will be accepted on a rolling basis with preference given to those received before May 15, 2019. While we envision this position starting in September 2019, an earlier start is certainly plausible, possible, and preferable. 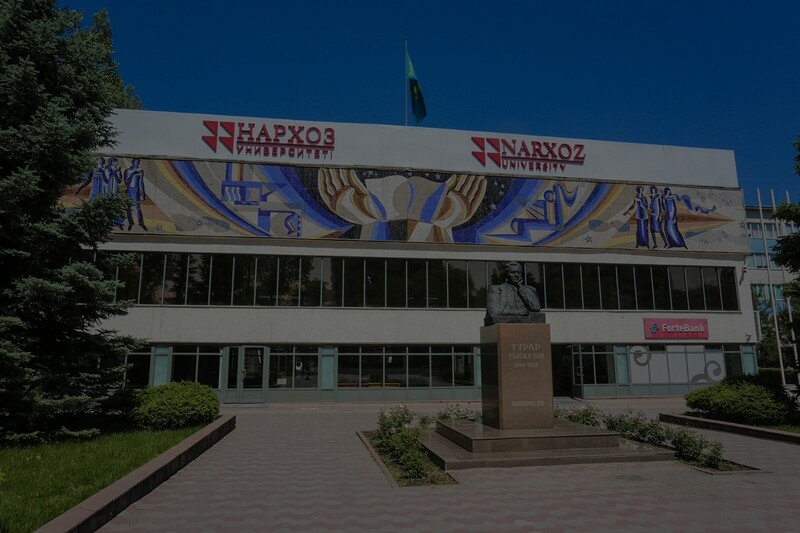 Located close to the stunning Ile-Alatau National Park, Narxoz University resides in the dynamic city of Almaty. With a wide range of cultural, culinary, and artistic vibrancy, Almaty lies at the intersection of the ancient (an essential part of the original Silk Road) and the modern (it has the region’s most well connected airport).